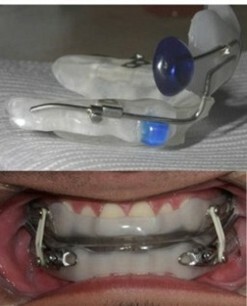 the RespireAide sleep apnea solution! "NON-Surgical Adjustable Tongue Advancement Device Developed By Harry Cutler A Sleep Apnea Patient"
"A sleep apnea patient and inventor Harry Cutler has developed a non-surgical tongue advancement device that can be adapted for labratory titration or auto-titration similar to APAP (auto CPAP) He is currently pursuing FDA approval to market both OTC and medically prescribed versions. This device also has an adjustable palate lifter as a feature. I have seen an early prototype and I believe that this oral appliance may be a new class of apnea treatment devices that control the tongue and soft palate to maintain an airway. It can be easily titrated and is non-surgical and therefore will filll an important gap." "Mr Cutlers appliace can be titrated by a patient in seconds." invention...I will certainly advertise it among people I know, including relatives." 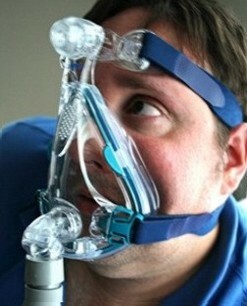 Sleep Apnea by as much as 95% and virtually eliminate snoring! The RespireAide Oral Appliance make a GREAT gift! "I thought I might not be comfortable with a device like this, but ordered one anyway because of the guarantee. day anymore and have more energy. Best decision I ever made! "I originally started using the device, by breaking off the soft palate lifter as I had trouble with gagging and found the device worked well except for a lot of saliva. A couple weeks later I purchased another having been told that the device works better with both tongue retainer and soft palate lifter in place. I found that I can now tolerate the soft palate lifter after more practice. I will keep the original device for spare parts. The saliva problem has gone away and I'm dreaming more and waking up less. 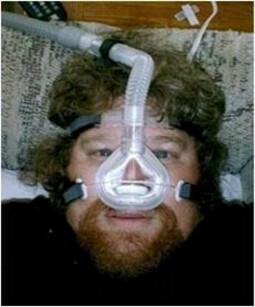 I found with CPAP that I was getting tired during the day even though my apneas were being treated. There was always leaks, cleaning, hose getting in the way, the full face mask was pulling my lower jaw in and my sleep doctor prescribed Madofinal to keep me alert during the day, just prior to me researching for an alternative treatment. You mention two advantages with your device on your web page, but I found that by having my teeth in the mouth piece my lower jaw does not fall back and this also helps. I just want to say, I'm now CPAP free, more alert when I'm awake, I have less wake ups during the night and not in need of any medication. Thank you, Harry! The sleep study with your device resulted in 0 obstructive apneas but central apneas. The 3.7 result was cpap at home. The central apneas I had instead could not be explained. My wife and I have put it down to the anxiety of attending the sleep study. As promised, I attach results of my recent sleep study which confirms that your RespireAide device has reduced my AHI from 29 to .6 per hour.. This is a remarkable result and even better than the 1.5 apneas recorded by a CPAP Machine Feel free to publish these results as you wish. I intend to promote the Respireaide to my GP, my sleep specialist and local pharmacies, who I strongly believe, should offer this simple, cost effective alternative to CPAP. Thanks again for inventing RespireAide! PS: I eventually became accustomed to the dry mouth sensation and abandoned my ‘tube’ modification. Your device works best just as it is!